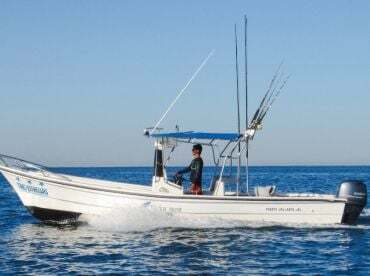 If you are looking for a fun day out on the waters of Puerto Vallarta, Captain César Marcelino Pérez Castellón of Pesca en Vallarta is at your disposal. 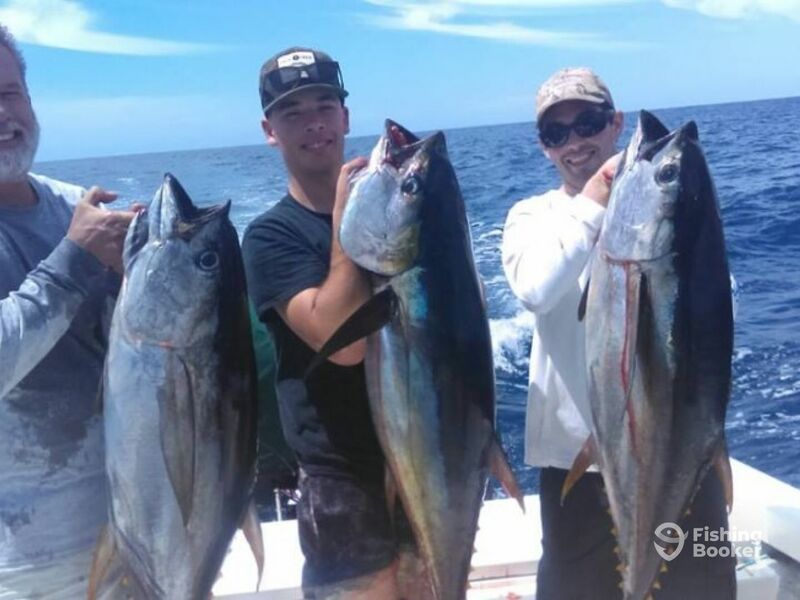 Spend your day fishing in the bay or check the bite in La Corbeteña. 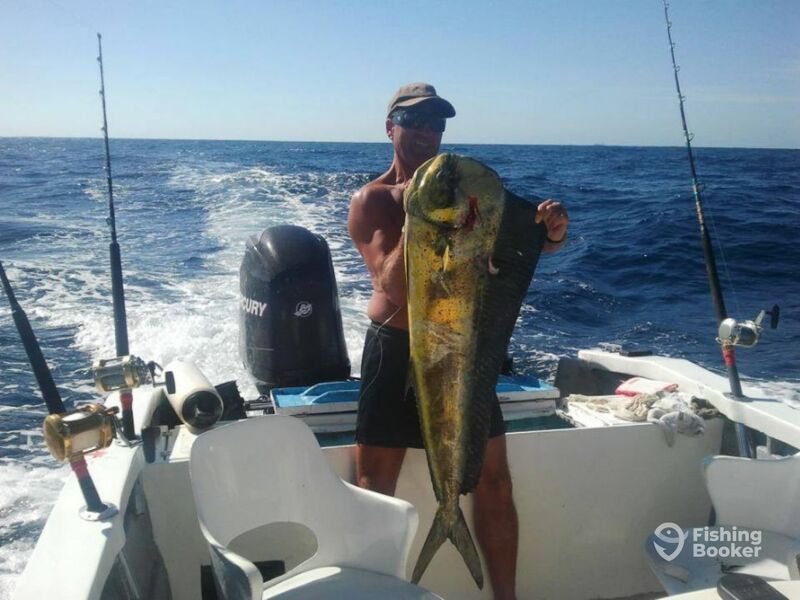 Head a bit further out to El Banco or enjoy the thrill of catching the fish that lives in and around Sand Banks. You will be provided with a top-notch gear and tackle by Penn International and Shimano (16s, 30s, 50s, 60s, and 80s), a fluorocarbon leader, Penn kites, licenses, and live bait to make an outstanding catch possible. You will only need to bring your own food and soft drinks with you. Whatever your angling ambitions might be, the captain will help you find your match. 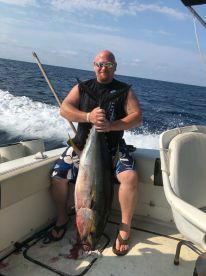 He will take you trolling, spinning, jigging, or kite fishing for anything from Tuna and Marlin to Mahi Mahi, Amberjack, and Roosterfish to name a few. Your boat for the day, a 28’ Bertram, is restored at least every other year. It comes powered by two 185 HP Yanmar engines and has enough room for up to 6 guests or 4 anglers. The boat is rigged with electronics, tuna tubes, outriggers, and downriggers. The first mate will also be aboard to help you land a big one. Don’t waste any more minute – hop onboard and let the adventure begin! 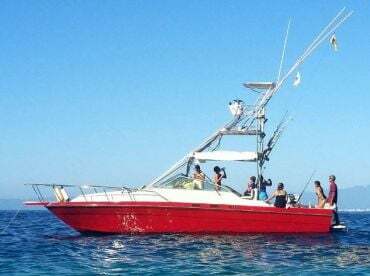 On this fourteen-hour trip you will be fishing Sand Banks for Marlin, Tuna, and many more. 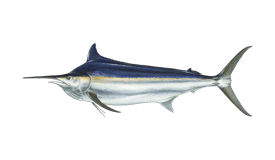 Explore the waters of El Banco, targeting Marlin, Tuna, and more. Sit back, relax, enjoy the ride to La Corbeteña. 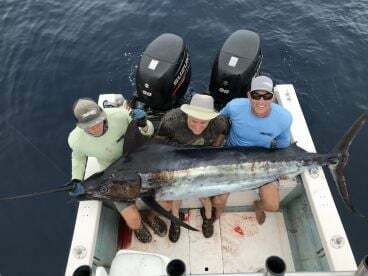 You will be fishing for Billfish on this trip! This trip is something that the team calls: "20 live baits, 20 dead baits, and the best crew around." 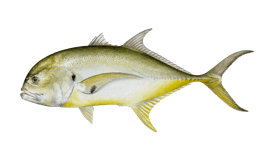 You will be spending your day fishing for Jack Crevalle, Roosterfish, Amberjack, and more. Add a few more hours to your time in the bay and check more spots. 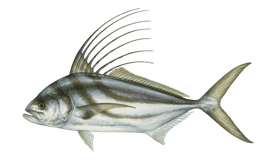 Go after Roosterfish and Jack Crevalle, as well as other species. 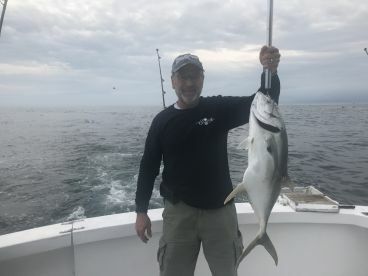 This is a Puerto Vallarta fishing trip inside the bay for Jack Crevalle, Roosterfish, and more. Bertram (Offshore sport fishing) originally built in 1980, and restored in 2018. Powered by 2 185HP Yanmar engines, with a maximum cruising speed of 25 knots. Captain César Marcelino Pérez Castellón comes from a fishing family. His father, an avid fisherman, was the one who introduced him to the waters. 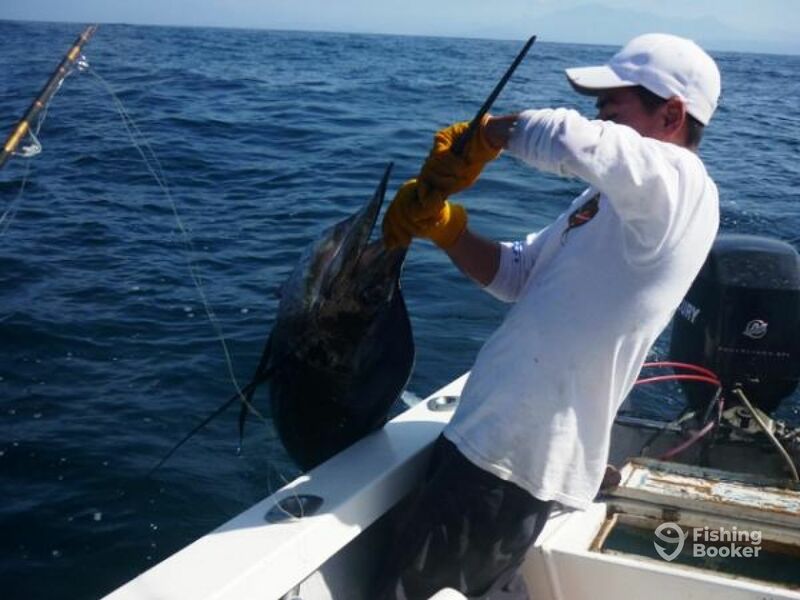 César has almost 2 decades of experience, fishing all along the Pacific Coast of Mexico. 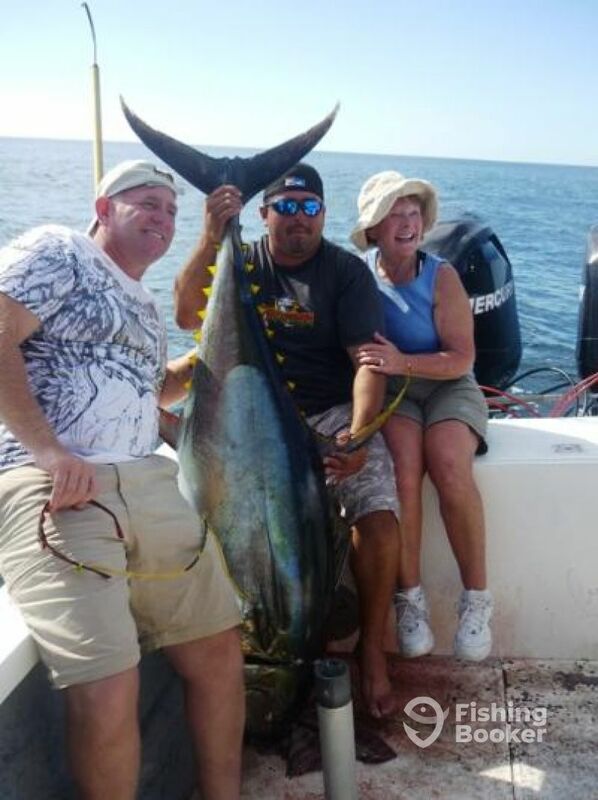 He is on the water every day and enjoys fishing with his clients and friends. 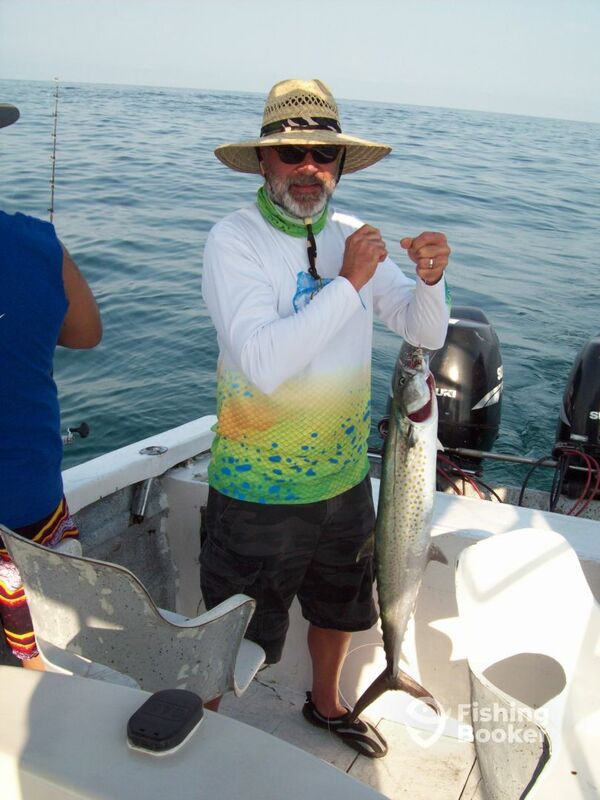 Captain César is also a tournament angler. He and his first mate have won podium places in tournaments around the region for the last 7 years straight. 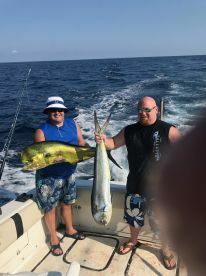 We were able to catch 3 good size mahi mahi and 1 good size tuna (about 90 lb). Cesar spoke great English and knew where to go to find some good fish! We showed up early and the captain greeted us in the parking area took us to his boat. Everything was ready so we started the trip immediately. From the moment we cleared the port the fish started biting and the poles started wiggling like crazy. For 3 hours straight my son and I caught fish. We left that day with smiles on our faces and sore arms from reeling in all the fish. The Captain and First Mate provided an excellent experience on a well-kept boat with good equipment. Both spoke English and were able to hold conversations as well as provide instruction for two beginner Fishers. We had a great time and next year when we come back will be scheduling multiple days on the water with this captain and boat. 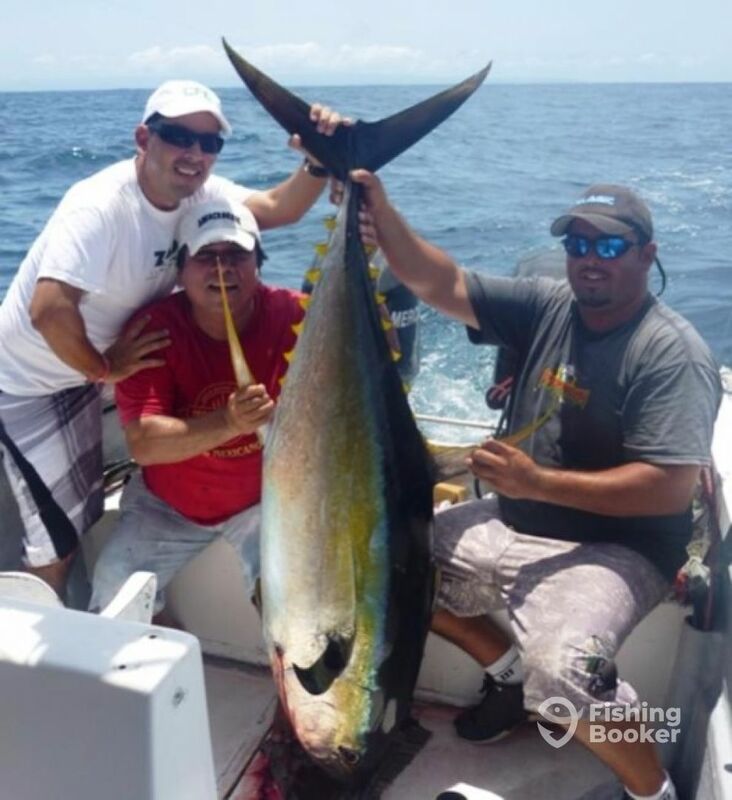 Well did not fish on the Pacific, or with Captin Cesar Marcelino… he meet me st the dock with his father and the Tangaroa… He was very accommodating, he was booked for a tournament, so I went with his Dad.. had a wonderful time…. 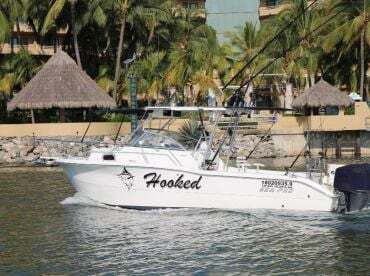 the man was knowledgeable, spoke good English, very good fisherman.. on any trip back to Peurto Vallarta I will fish with these guys again.. made a slow day enjoyable.. there was a mix up on booking.. the captain had me down for one day, and I booked 2 through you guys.. Captian Cesar was really polite and tried to work something out.. So enjoyed the trip, not real happy about losing $60.00 for booking a trip that didn’t get scheduled.. but all in all satisfied.. found a good Captin. Capitan Ceaser and his deckhand were very hard working, professional and knowledgeable fishermen. 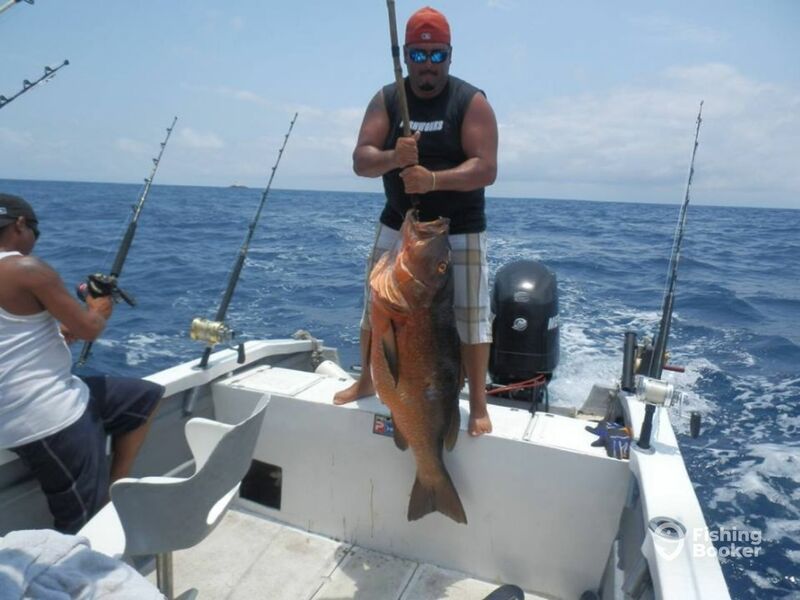 While many boats came back with very few or no fish, Captain Cesar knew the spots to fish. 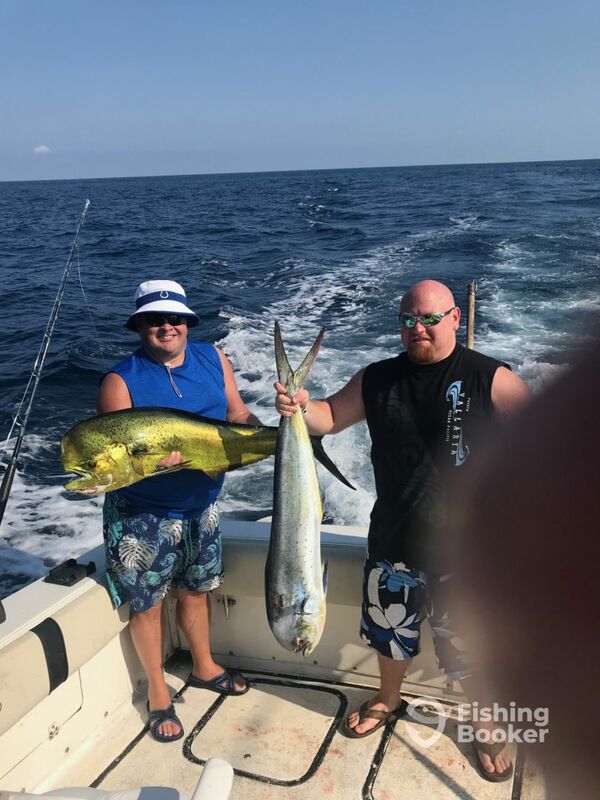 We ended up with two Dorado (Mahi-mahi) and one very large King Mackral which Captain Cesar so graciously shared his recipe for cervechie made with Mackeral. Very tasty. We were very impressed with the trip and will use Capitals Cesar again. Fabulous trip! Capitan Ceaser and his deckhand were very hard working, professional and knowledgeable fishermen. 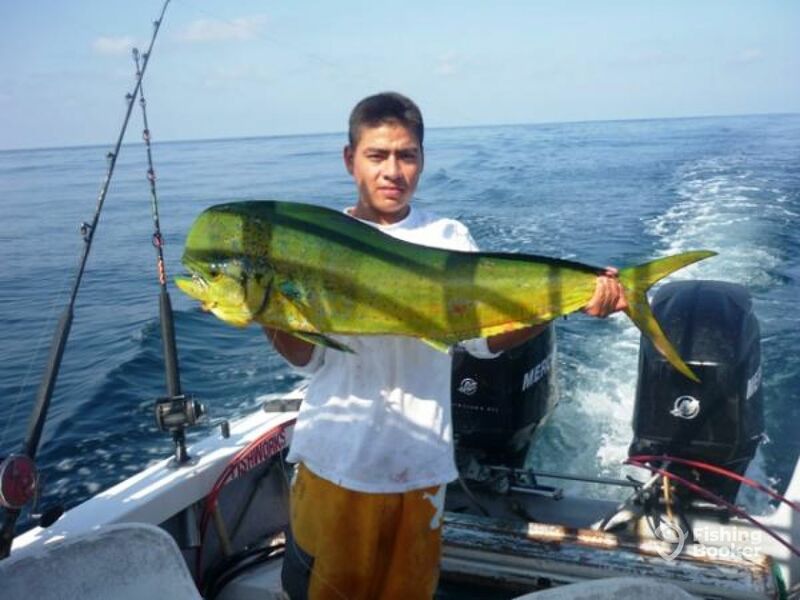 While many boats came back with very few or no fish, Captain Cesar knew the spots to fish. We ended up with two Dorado (Mahi-mahi) and one very large King Mackral which Captain Cesar so graciously shared his recipe for cervechie made with Mackeral. Very tasty. We were very impressed with the trip and will use Capitals Cesar again. Fabulous trip! Dorado fishing was very slow today so Captain Cesar made every effort for us both to catch something. 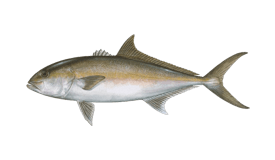 We both were able to real in an Amber Jack of 15-20 lbs. They are hard fighters and a lot of fun to catch. We kept one and released the other one.